This type of mattress is ideal for those having back and joint problems. It is known to relieve pressure on joints and the spine with all-around support. The mattress is crafted in a way that allows its rolling. The air is removed from the package before it is sealed. All this aids in easy handling and delivery of the mattress. When opening a vacuum packed mattress, please allow 4 hours for its initial expansion. The mattress is okay to use after this period however it will continue to expand (to a lesser degree) over the following 72 hours. Any odours from the packaging will be eliminated in the process. Orthopaedic Pocket Sprung mattress for individual support. Reflex Foam boundary around the Springs for luxury and to prevent rolling off. Sanitised fabric with Anti-Dust Mite and Hypoallergenic features. The Pocket Flexi 1000 has a special combination of Pocket Springs and Reflex Foam. This makes the mattress very comfortable to sleep on. The Reflex Foam on the boundary of the Springs aids in preventing rolling off the mattress. The Pocket Flexi 1000 is crafted with sanitised materials which make it hypoallergenic and Anti-Dust Mite. If you have allergies and asthma, this mattress is perfect for you. 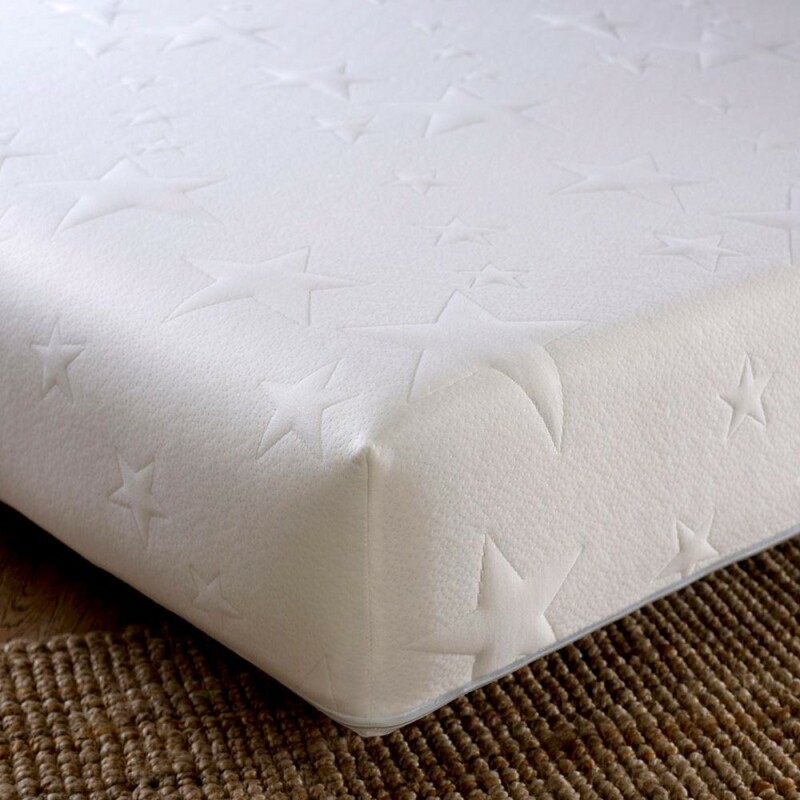 The taped edge are designed to give additional durability and a supportive structure to the mattress. This mattress conforms to all British fire regulations for your peace of mind. The Pocket Flexi 1000 Mattress comes rolled so the actual box will have the width of the size you want (3ft single would be 3ft long) and about 15 cm x 15 cm. It would fit in a car. Im nervous about memory foam as it gets very hot and sweaty sometimes - does this mattress get very hot as it's memory foam? The Pocket Flexi 1000 actually doesn't have any Memory Foam in it. It is made of springs and Reflex Foam which will not overheat you during your sleep.